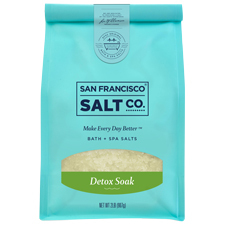 Epsoak Everyday Relax and Refresh by San Francisco Salt Company is made with premium Epsom Salt (Magnesium Sulfate) infused with essential oils such as Chamomile and Citrus known to calm the body and mind. Relax and Refresh is an all-natural remedy to soothe tired and aching muscles while promoting relaxation. 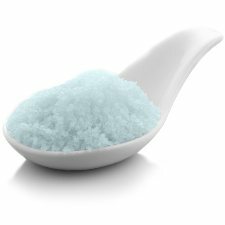 The perfect evening bath soak or foot soak at the end of a long day so you can wake up feeling refreshed. 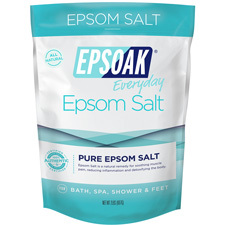 Why Choose EPSOAK Everyday Relax+Refresh? 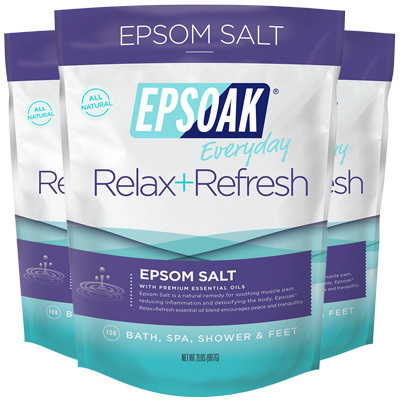 RELAX THE BODY AND MIND:�Use Epsoak Relax and Refresh in a bath or foot bath to relax muscle aches & pains. The perfect evening bath to calm your mind and ease your worries�after a stressful or demanding day. A BETTER NIGHT'S SLEEP:�Relax and Refresh is made with Epsoak Epsom Salt and premium essential oils of Chamomile, Tangerine and Ylang-Ylang to promote peace and tranquility for a restful night's sleep. Ingredients:�Magnesium Sulfate (Epsom Salt),�Aloe Barbadensis (Aloe Vera) Leaf Juice, Tocopherol�(Vitamin E), Citrus Aurantium Dulcis (Sweet Orange)�Essential Oil, Pogostemon Cablin (Patchouli) Essential�Oil, Citrus Reticulata (Tangerine) Essential Oil, Cananga�Odorata (Ylang-Ylang) Essential Oil, Matricaria Recutita�(Blue Chamomile) Essential Oil, Canarium Iuzonicum�(Elemi) Essential Oil.